Mike Henry is a commercial lifestyle and advertising photographer. He works both in Chicago and Los Angeles and specializes in believable, realistic lifestyle photography that centers around young adults in their 20's (Millennials), 30's and 40's that are typically cool, stylish and trendy. Mike's lifestyle advertising clients have been a mix of apparel, tech, beer, cellular and alcohol brands. 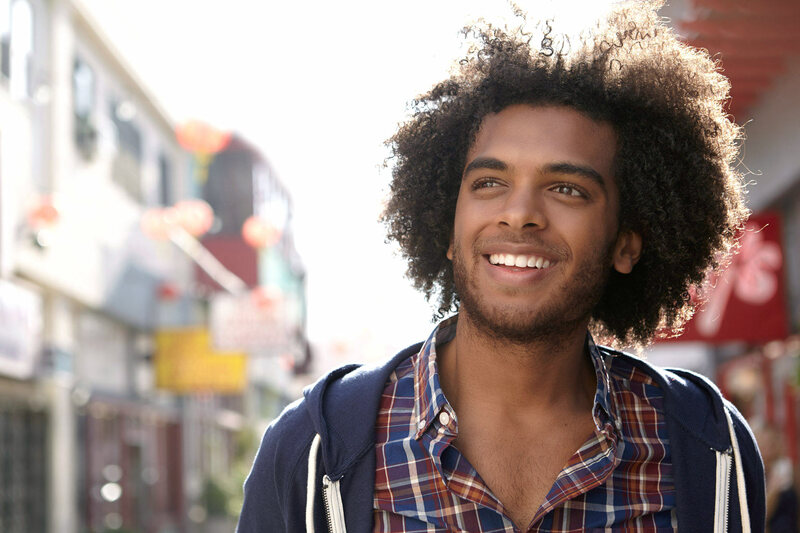 Here you see an young african american man, in a trendy shirt and hoody, with a fro, smiling off camera in the Los Angeles China town area.